How To Apply For A Harry Fox Agency Online Account As A DIY Musician – A Step By Step Guide. Ever since I wrote the article “How To Get A Facebook, Instagram and Oculus Direct License For DIY Musicians & Indie Publishers” for the TuneRegistry blog, musicians who own their publishing have flooded my inbox with questions regarding the Harry Fox Agency Online Account application process. The Harry Fox Agency represents the reproduction rights in songs for thousands of publishers in the United States and issues millions of direct and complusory mechanical licenses to music users on behalf of its HFA affiliate publisher members. In addition, its Rumblefish division performs an array of licensing and administrative (e.g. royalty accounting) responsibilities for dozens of digital service providers, start-up music apps/websites, and other digital music clients. In a word, HFA issues licenses, collects royalties, and make payments to rights-holders to the tune of hundreds of millions of dollars annually. An HFA Online Account enables publishing rights-holders who are not eligible to become an HFA affiliate (e.g. DIY musicians) to still receive and enter into some direct licenses for the use of their songs in the products and services of HFA/Rumblefish clients. This includes powerhouses like Spotify, Facebook/Instagram and LyricFind, among many others. Once you’ve entered into a license, you must give HFA a list of your songs with proper metadata. You can remit your catalog of license-ready songs to HFA, and other music rights organizations and rights clearance houses, via directly from within your TuneRegistry account. Admitingly, I did not go into much detail in the Facebook license blog in regards to how to apply for an HFA Online Account (although, I did include the HFA client services email for additional questions). Having reviewed the application form, I can see how a DIY musician could become confused. The form was designed for publishers and administrators, so a DIY musician who wears the hat as his/her own music publisher may get easily confused. 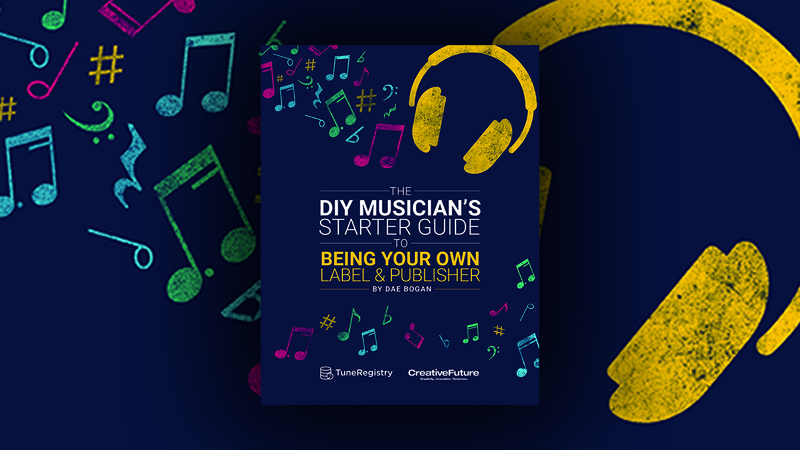 Download my free ebook, The DIY Musician’s Starter Guide To Being Your Own Label & Publisher here. To aid in providing clarity to DIY musicians, I have written instructions for each question/field on the application form in the order as it appears. This should clarify the questions that I often receive regarding the application form. 1. Publisher Name: If you have a publisher or have hired a publishing administrator, stop here. Your publisher should be handling licensing with HFA. You can contact your publishing representative for clarification. If you do not have a publisher, then enter your publishing entity name as used with ASCAP, BMI, or SESAC. If you have not created a publishing company and joined ASCAP, BMI, or SESAC enter your full legal name. 2. HFA Account P#: Skip, unless you’ve received correspondence from HFA with an HFA Account P#. 3. Administrator Title: Enter “Self” if you are representing yourself. Enter the title of your representative if you’re giving them authority to oversee your HFA Online Account (e.g “Manager”, “Attorney”). 4. Administrator Name: Enter your full legal name if you are representing yourself or enter the full name of your authorized representative who will be overseeing your HFA Online Account. This is just who should be contacted aout your catalog. 5. Administrator Mailing Address: Enter the contact information of the individual identified in #4. Where should HFA mail things to? If you are applying as an individual self-published songwriter with no publishing entity, then select “Individual/Sole proprietor”, enter your tax ID (SSN or ITIN), and enter the name that should appear on tax documents (generally, your legal name). If you are applying as an individual self-published songwriter who has hired a publishing administrator, then you should not complete this application in the first place. Contact your publishing administrator. If you are applying as an individual self-published songwriter who has setup a business entity for the purpose of administering your own publishing with ASCAP, BMI, or SESAC and you have input this publishing entity in #1, then select the business entity structure that you have setup to form your company. For example, if your entity is a Limited Liability Company, then select “Limited Liability Company”. If it is a DBA, then select “Individual/Sole proprietor.” Enter the tax ID for the entity (this may be your personal SSN/ITIN if you are a sole proprietor or it may be your EIN if you’ve applied for one with the IRS for your LLC, Corporation, or Partnership). Enter the name on tax return that matches the entity type that you’ve selected. For additional questions or to check on the status of an HFA application, contact clientservices@harryfox.com. Was this article helpful? I am considering writing more like it for other music rights organizations’ application processes. Let me know in the comments.